"Fish, too, abound; the lagoon is a closed fish–pond, such as might rejoice the fancy of an abbot; sharks swarm there, and chiefly round the passages, to feast upon this plenty..." -R.L. Stevenson, In the South Seas, Fakarava: An Atoll at Hand. There are attractions other than sharks. 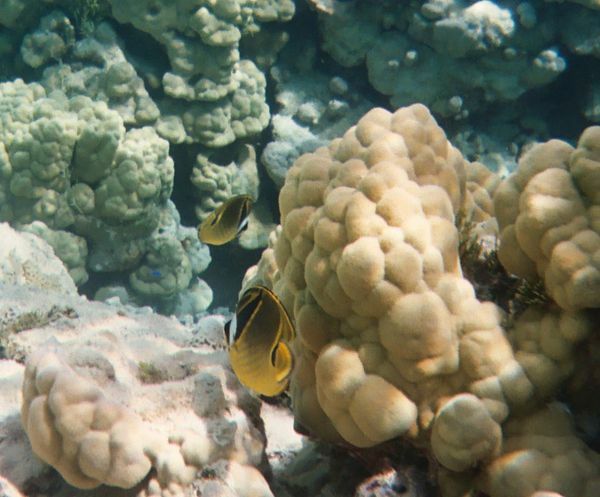 Here are a couple of pretty butterfly fish.